SQL Server works with objects and counters, with each object comprising one or more counters. For example, the SQL Server Locks object has counters called Number of Deadlocks/sec or Lock Timeouts/sec. Access Methods – Full scans/sec: higher numbers (> 1 or 2) may mean you are not using indexes and resorting to table scans instead. Buffer Manager – Buffer Cache hit ratio: This is the percentage of requests serviced by data cache. When cache is properly used, this should be over 90%. The counter can be improved by adding more RAM. Memory Manager – Target Server Memory (KB): indicates how much memory SQL Server “wants”. If this is the same as the SQL Server: Memory Manager — Total Server Memory (KB) counter, then you know SQL Server has all the memory it needs. Memory Manager — Total Server Memory (KB): much memory SQL Server is actually using. If this is the same as SQL Server: Memory Manager — Target Server Memory (KB), then SQL Server has all the memory it wants. If smaller, then SQL Server could benefit from more memory. Locks – Average Wait Time: This counter shows the average time needed to acquire a lock. This value needs to be as low as possible. If unusually high, you may need to look for processes blocking other processes. You may also need to examine your users’ T-SQL statements, and check for any other I/O bottlenecks. Once python is installed we will be faced with a requirement to manage the python libraries. 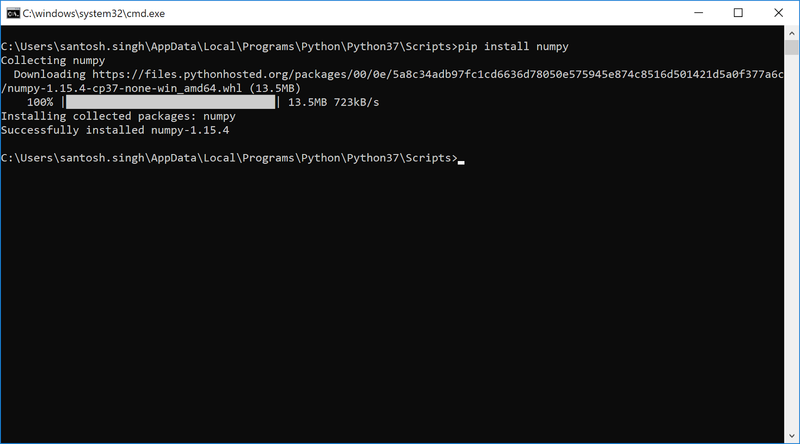 Python ships its package manager which is called pip. The above link also has the details on downloading the script for pip installation. 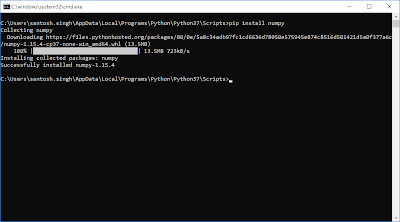 The script file is called get-pip.py and should be executed using the python command line to update the pip installer.